Last Call, a movie made in Windsor, Ont., was filmed in one take. And now, its musical score has been recorded in a similar fashion. 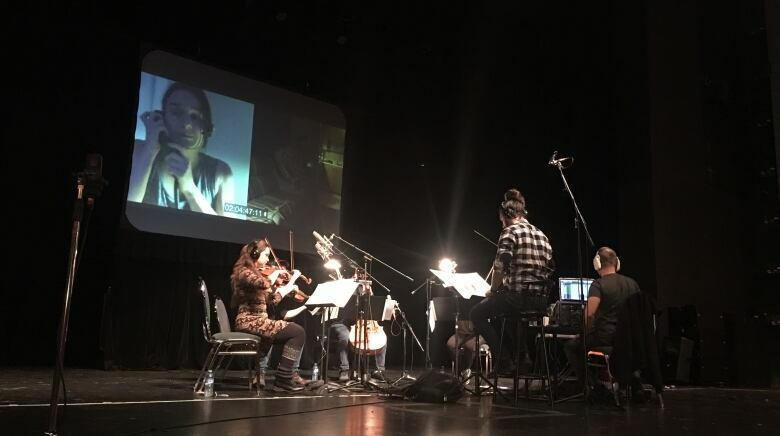 On Wednesday, a team of musicians recorded the music for the movie at the Chrysler Theatre, in front of dozens of high school students, who were invited to witness the live session. The film played on a big screen as four musicians played the score alongside it, with minimal breaks. "All the pressure's on them today," said Gavin Booth, the filmmaker behind the 90-minute feature. "But like any symphony, any live musicians, they're there to bring their A-game and they're hired because they can do the job and do it very well." Booth, who grew up in Amherstburg, said it was thrilling for him to finally hear the music, composed by Adrian Ellis, with the movie. "When I heard the temp version of it, it actually made me cry," he said. "It's very beautiful music. Adrian, I've worked with several times on films. He always just knows exactly what instrument, what notes, what arrangements are going to bring the emotion out and this is a very heavy sad movie so the music definitely grips you and makes you feel what the characters are feeling." The movie is a story that focuses on mental health, about a man contemplating suicide who calls a custodian by mistake when he tries to call a crisis line. The story unfolds without any cuts, where both characters can be seen at all times through a split screen. Booth explained that the one-take approach, both in the filming process and in the score recording process, helps build and retain the tension of the story throughout the film. After the first recording on Wednesday, Ellis said he was happy with the outcome. "I just knew that with these players and the kind of music we had and the spirit of the whole thing, it was going to turn out great and there's some magic that was going to happen. And I think we got that." 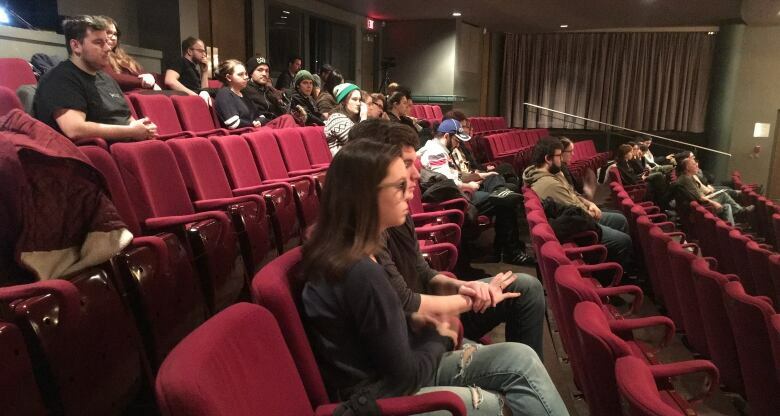 High school students in the audience say it was a great learning experience for them getting to see how the recording unfolded. "It was pretty like interesting learning how like live instruments go about recording and how it's like all one shot and one take really," said John Carlo Albano, a grade 12 student. Fellow high school student Natasha Sangemino said she loves classical music, so getting to watch the quartet play was a treat for her. "I've always loved filmmaking, so getting this up close look is just incredible," she said. Booth said it was important to him to invite students to the recording, adding that he always hopes to give back and inspire students. 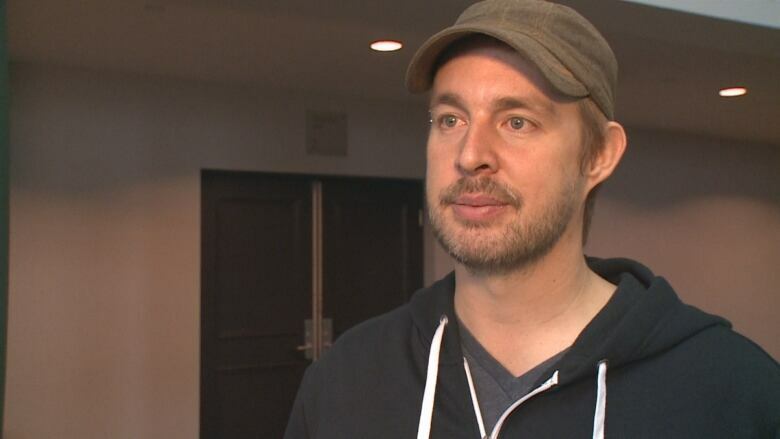 "The goal is to just hopefully motivate youth in Windsor that if they have a wild dream they want to get into entertainment, be it music or acting or filmmaking that there is a real chance and you can do it and live your dream," he said. The movie will be fully wrapped in the next week following some final sound mixing and touch ups. Then, it's off to the Beloit International Film Festival in Wisconsin. A Windsor premiere is being planned for late April or early May.